Start him out right with this updated classic. 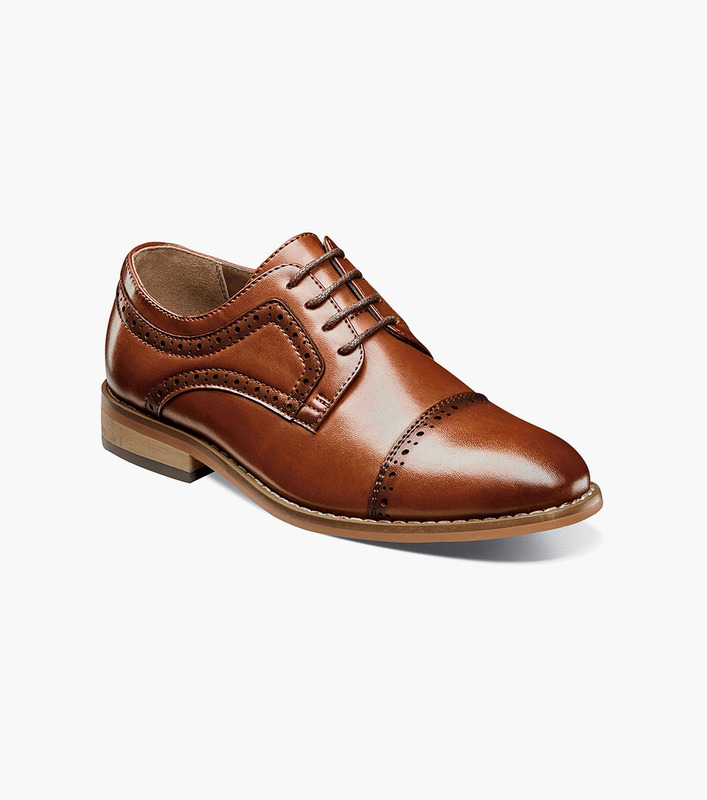 The Stacy Adams Dickinson Cap Toe Oxford features intricate perfing details on the toe and collar, a dress style sole, and a stacked style heel. This is one cap toe that will have any young man looking like he was born with a natural sense of style.